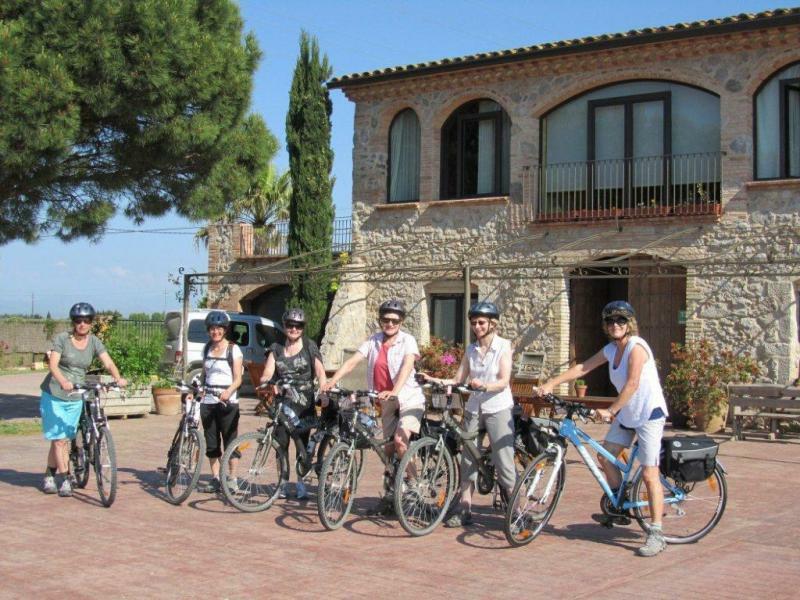 This self guided cycling holiday gives you the opportunity to explore the beautiful Catalan countryside and rugged coast, surrounded by the Pyrenees and pine-fringed valleys dotted with historic castles, hilltop fortresses, ancient wine villages and fields full of lavender, this is a beautiful cycling holiday you will never forget! Cycle along the “wild coast” with its miles of golden beaches. Cycle inland through the Aiguamolls Nature Reserve where innumerable seabirds and songbirds have settled. 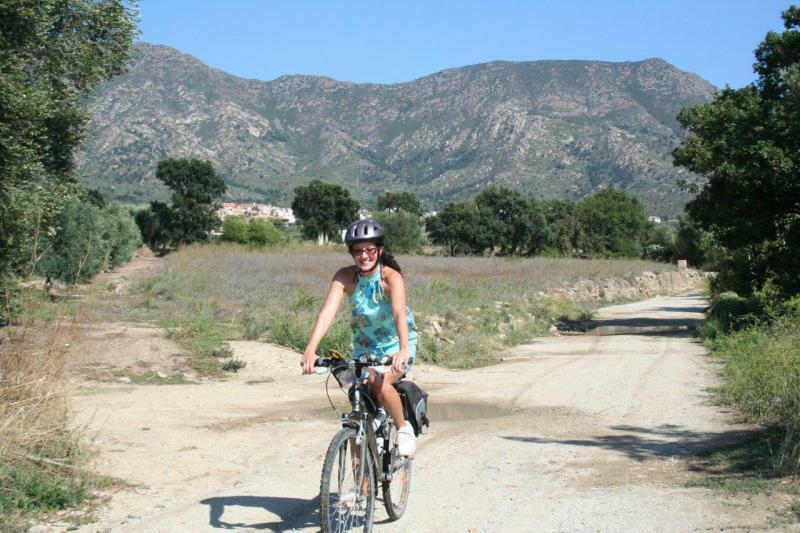 Cycle along stunning trails offering spectacular views sweeping far into the Pyrenees. Discover Romanesque and Gothic buildings. Visit the Greek and Roman Ruins of Empuries. 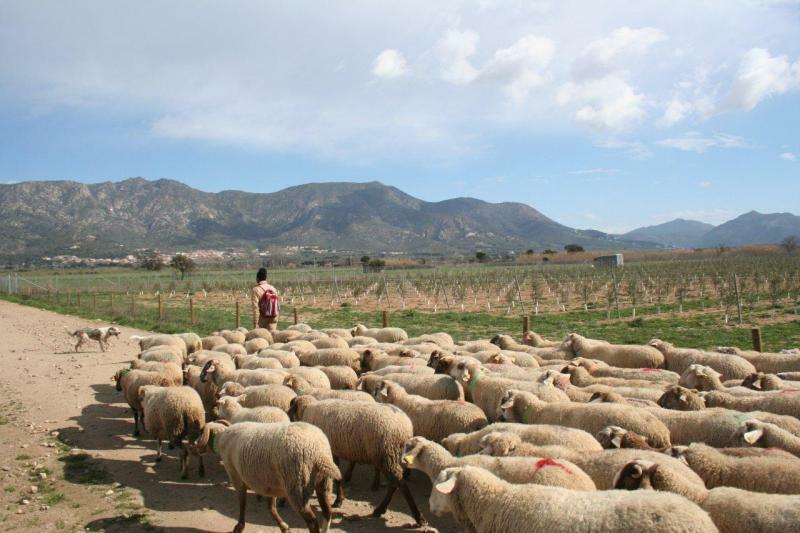 Discover the region’s acclaimed gastronomy, the wines produced by the vineyards you pass on your route and much more! Click here for our 3 night option! Click here for our 5 night option! Terrain: Rolling plains, farmland, olive groves, vineyards, pine woods, wetlands. You will cycle principally on farm tracks and trails, sometimes on quiet country lanes. Note: The cycle route times do not include breaks or visits to attractions. Day 1: Arrive at Girona Airport or Figueres Train Station where you will be transferred to your accommodation in Palau Saverdera. Surrounded by vineyards and orchards, immerse yourself in the history and culture of this traditional Catalan farming village, take a cycle through the local countryside and discover all the details that go together to make up the everyday life of this beautiful part of Catalonia. Accommodation: 3* Hotel, B&B, Palau Saverdera. The hotel, renovated in 2006, is a charming hotel situated in a small Catalan farming village, only 5 km away from the sea. If you decide to eat in the restaurant in the evening you will have the opportunity to savour some wonderful traditional Catalan cuisine. Day 3: Today you will again travel west, you will travel through beautiful Catalan countryside; you will pass fields lined with vineyards and olive groves. Day 4: Today you leave Palau Saverdera behind and head south, you will pass through Castello D’Empuries, a beautiful medieval village steeped in history. There are many historical buildings to visit; however the landmark of the village, visible from afar, is the Parish Church of Santa Maria which is often called the “Cathedral of the Empordà” because of its size and gothic influenced architecture. You will travel through the Aiguamolls Natural Park, dotted with hides. At any time of the year you are likely to spot birds such as Ibis, Herons, Tufted Ducks, Pochards, Snipes, Redshanks, Marsh Harriers and Sandpipers, but if you are lucky you can make some exciting sightings during the spring and autumn migrations: Grey Herons, Golden Plovers, Flamingos, Black Storks and Spoonbills. 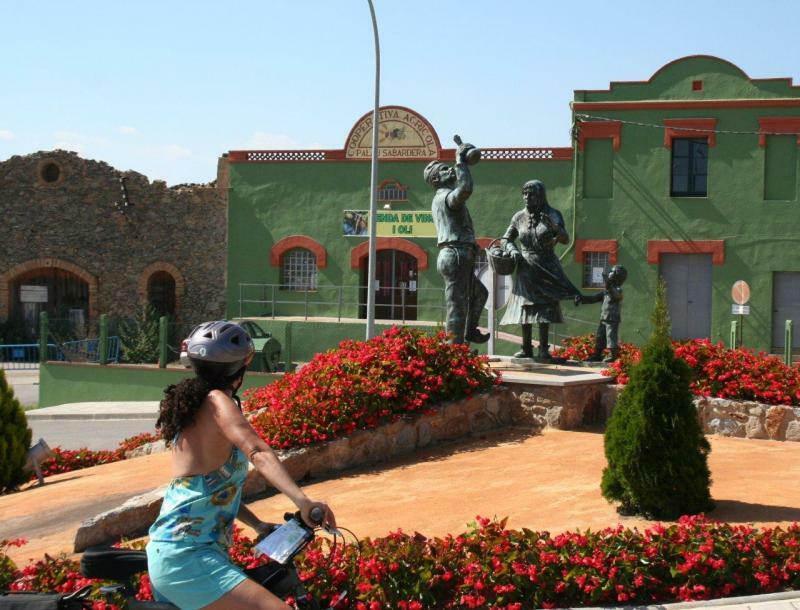 Then onwards through the stunning Catalan countryside onto the village of Sant Pere Pescador. Surrounded by areas of authentic natural beauty and bordered by the River Fluvià, Sant Pere Pescador keeps a perfect balance between land and sea, between the greens and yellows of its orchards and the blue and gold of its extensive beaches. 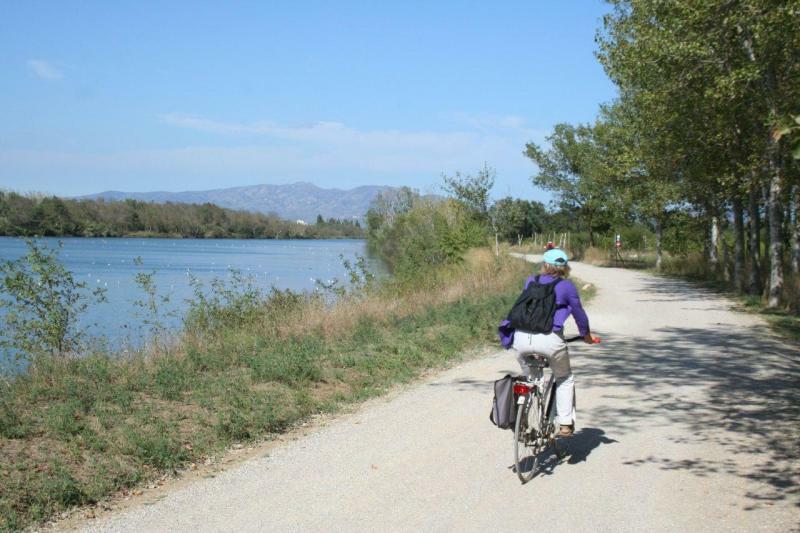 Accommodation: Rural Guest House (Casa Rural), B&B, Sant Pere Pescador. 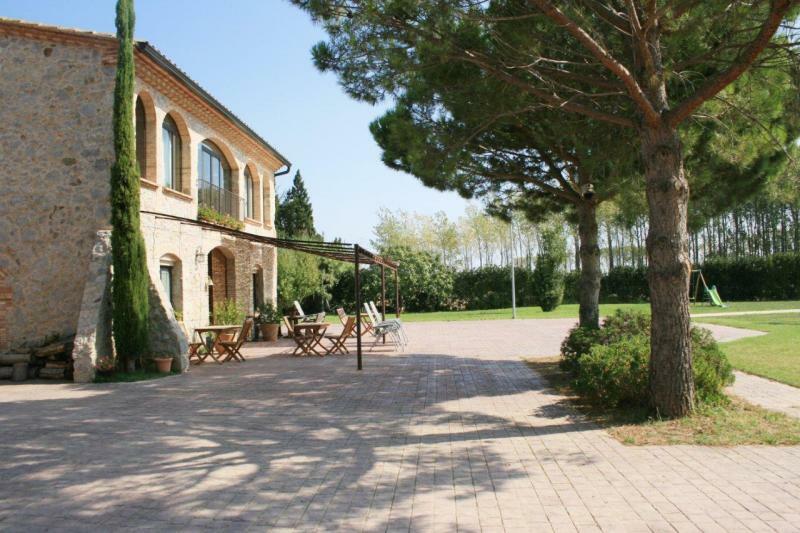 The house is situated next to the River Fluvia and surrounded by fields of fruit trees. An imposing Catalan farmhouse, lovingly converted by Miquel and Anna, the farmhouse is set in landscaped gardens with a small pool. It comprises five individually-styled bedrooms, each one in keeping with the original building, with lots of exposed stone and dark wooden beams. The dining room is very sunny with views to the garden; the living room has a chimney, television, music equipment and board games. In the lounge you will be able to relax, read or simply enjoy the view. Day 5: Free Day. Perhaps a day on the beach, a visit to the Dali museum in Figueres or just a lazy day around the village would be in order. Pay Locally. Day 7: Today you will travel south; you will pass the walled coastal settlement of Sant Martí d’Empúries, which is well worth a visit. The real highlight, however, is the fascinating Greek and Roman ruins at nearby Empúries (pay locally). The ancient city was used by the Romans as their base for the invasion and dominance of the Iberian Peninsula. There are some excellent mosaics and other remains, most dating from 218BC onwards. You will pass several beaches where you could pause for a swim, then onwards via several small hamlets and finally back to Sant Pere Pescador. (39km, 3hrs 40mins). Stop Press……….We are offering a €50 per person discount for all bookings “made” in April for this holiday!!!!! We provide panniers, however if you have a small rucksack, that will be useful. When you stop en-route you can put any valuables into the rucksack whilst visiting attractions. We provide all the bicycle tools you will need for the holiday.